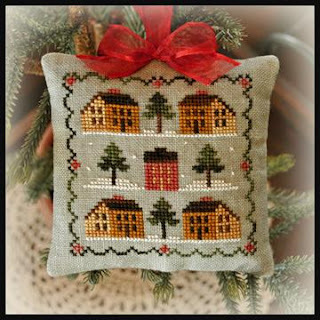 Norden Crafts: Announcing a NEW SERIES from Little House Needleworks! Announcing a NEW SERIES from Little House Needleworks! 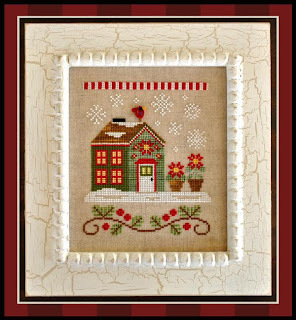 Little House Needleworks Presents "LITTLE SHEEP VIRTUES".....a delightful 12 part series!! Join in on the fun today with Norden Crafts! 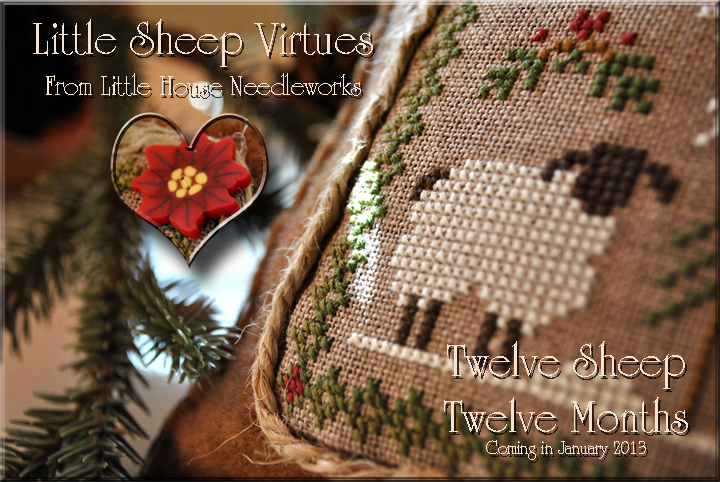 We are so excited to announce that Diane Williams of Little House Needleworks has announced her NEW MONTHLY SERIES of Little Sheep Virtues. The designs are stitched on alternating two fabrics, from R&R 30ct Dark Chino, and Weeks Dye Works 30ct Cocoa. All of the designs measure the same size with a stitch count of 61w x 61h. That will equate to about a 4" square if stitched on the 30ct linen. 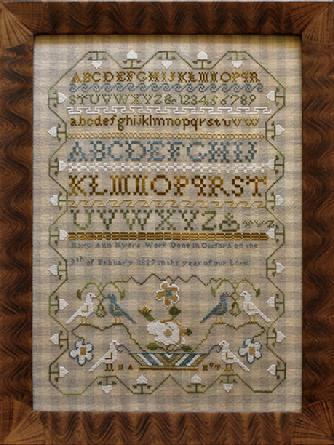 There will be directions on the chart if stitchers would like to stitch them all together, but Diane will be showing them as individual designs. *The 30ct R&R Dark Chino will be used in January, March, May, July, September, and November. *The 30ct Weeks Dye Works Cocoa will be used in February, April, June, August, October, and December. Another wonderful part about this series is that each design will have an optional button(s) from JABCO which will be shown in the chart photo. Using the button though is completely optional, and so it is not included with the pattern. If you like the button you can purchase it to add on, and if not, then just stitch the chart as directed without the button. We just know that you will all fall in love with this new series! 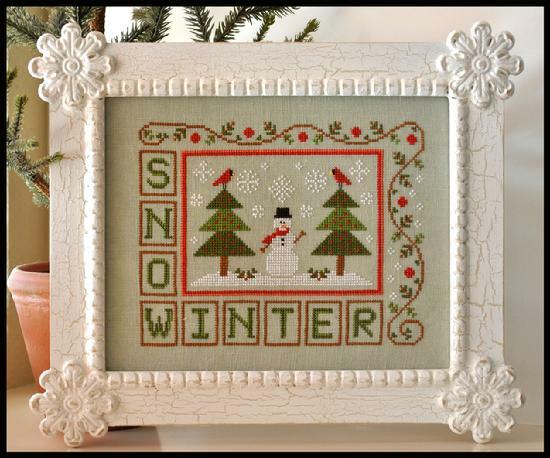 We will begin shipping this auto around the 21st of each month to our customers, so be sure to sign up quickly with your LNS, or favorite stitch site! SHOP OWNERS - Sign Ups are due to Norden Crafts by January 10th, in order to ensure that we have sufficient supplies on hand for the club. Please keep in mind that we have a limited amount of linen available for the 1st release, therefore, these will be filled on a first come first serve basis. We will be getting a 2nd shipment in shortly after the first, so rest assured we will get it in for you. For complete program details/pricing, check your inbox for your weekly E-newsletter later today! to a shop near you! We will begin shipping our autos late next week to those of you that have signed up. 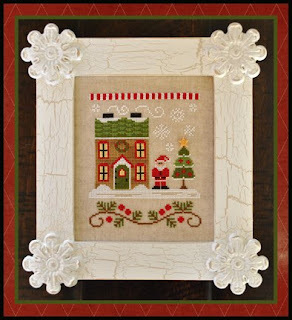 Blue Ribbon Designs Mystery Sampler Sneak Peek!